A big thank you to all of you who visited us at Fespa and got the exclusive preview of our new Fabric Wall. With Fabric Wall you can easily create a large, stable backdrop of textile, that also is lightweight and easy to transport. Product launch is scheduled at the end of 2015. 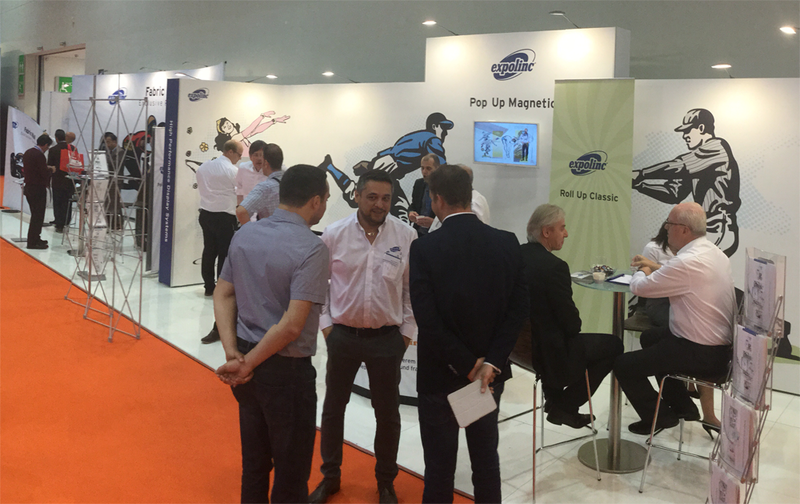 Our new accessories for custom made solutions to Pop Up Magnetic like flat sides, different heights, shelves etc was also demonstrated. If you did not have the opportunity to come, please contact your nearest dealer to get more information about the news we presented at the exhibition.